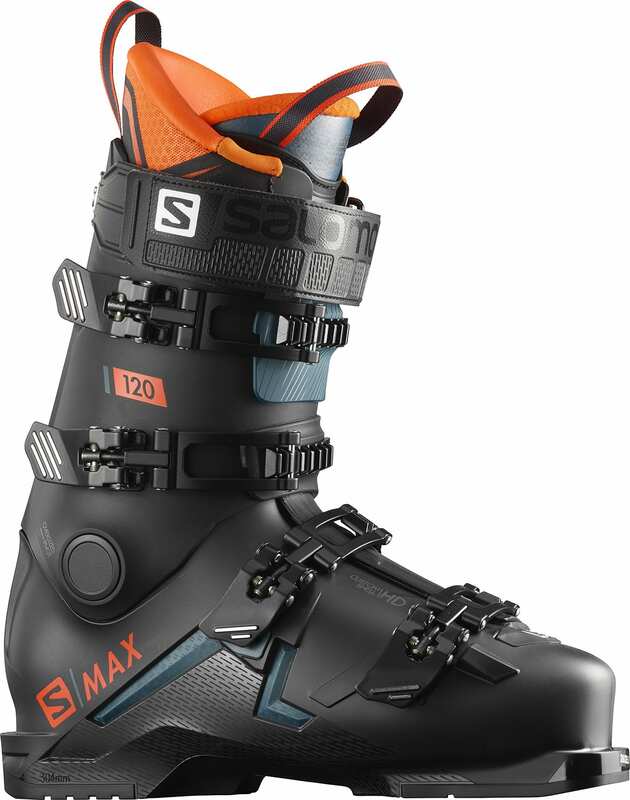 Get precise control over your skis with the Salomon S/Max Men's 120 Ski Boots. This men's ski boot is perfect for advanced skiers looking to ride fast and aggressive, with a 120 flex index rating for an ultra-responsive boot that will keep you carving hard for seasons to come. The liner is heat-moldable so that you can shape it to your liking and make sure that the boot perfectly conforms to your foot right out of the box. The 4-buckle design allows you to tighten and loosen the boot fitting to your liking and provides you with more options to let your boot fit the way you want it to. 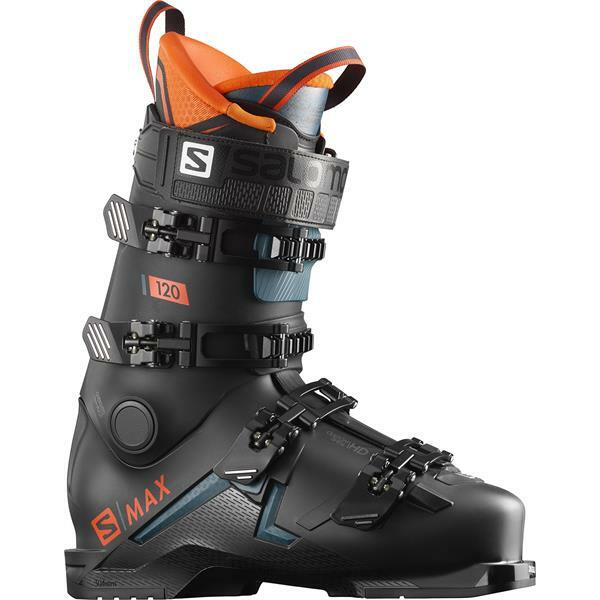 With a stylish black-and-orange color scheme, these Salomon S/Max Men's 120 Ski Boots will make a great addition to your skiing outfit and will let you enjoy a more controlled ride on the slopes. Great boots for my narrow feet.